Blogger from Google is a very popular platform to start blogging no tutorial is available, this tutorial explain each section in detail. 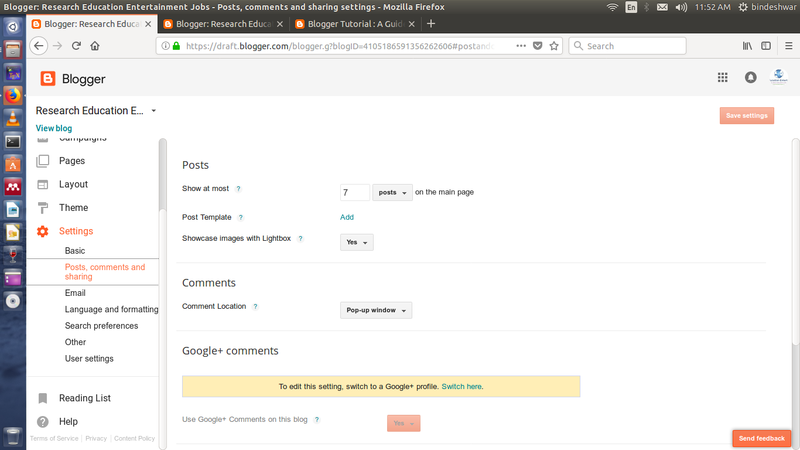 #1 Posts- This section shows all posts and their status, such as, right side of the screen you can see in the screen shot name of the post, status of the blog ( In the right side of the menu if Draft is written it means it is unpublished), author of the post, number of comments and how many times post is viewed. 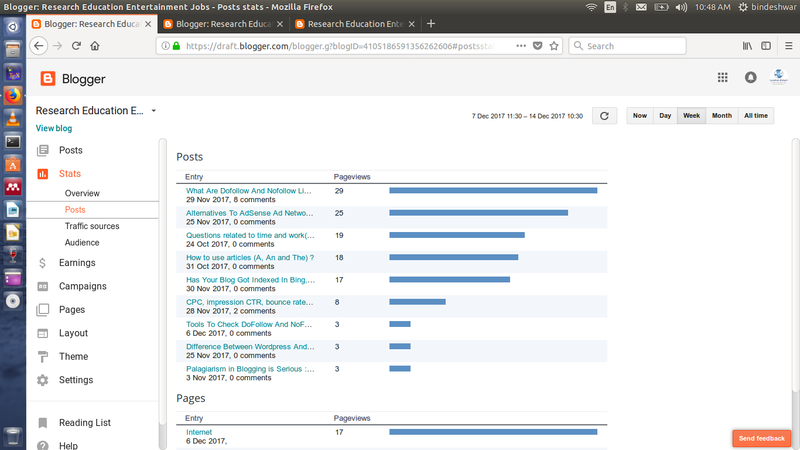 #1.1 All - Total number of posts both published and unpublished. 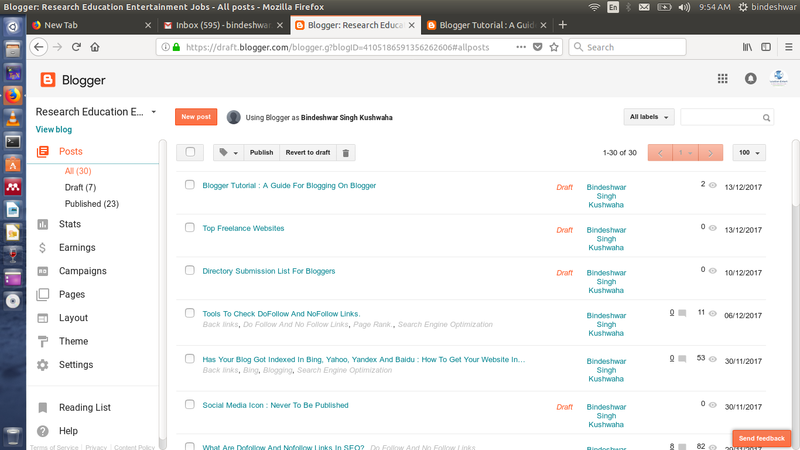 #1.2 Drafts- Posts which are not published and are in the form of drafts. #1.3 Published- Posts which are live on the blog. #2 Stats- This section is very important from the web metrics point of view, and right upper corner you can switch now, today, week, month and all time. I will explain each section separately. 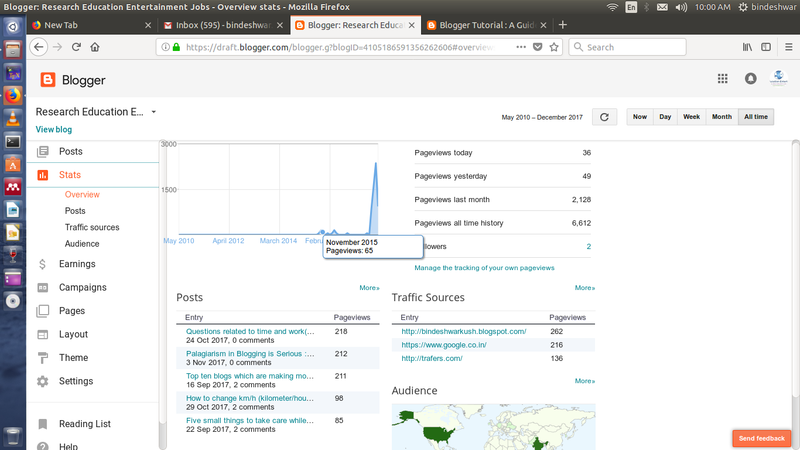 #2.1 Overview- In the screen shot you will see a graph and in the graph the X-axis shows time and Y-axis shows number of users, furthermore, below the graph, you will see Post section and there are two columns the first one is Entry which shows the posts and the second one is Page views which total number of page views, page views by today, yesterday, last month and all time history can also be seen. Post sub section shows posts and pages and their number of views, and in the right upper corner you can switch now, today, week, month and all time. 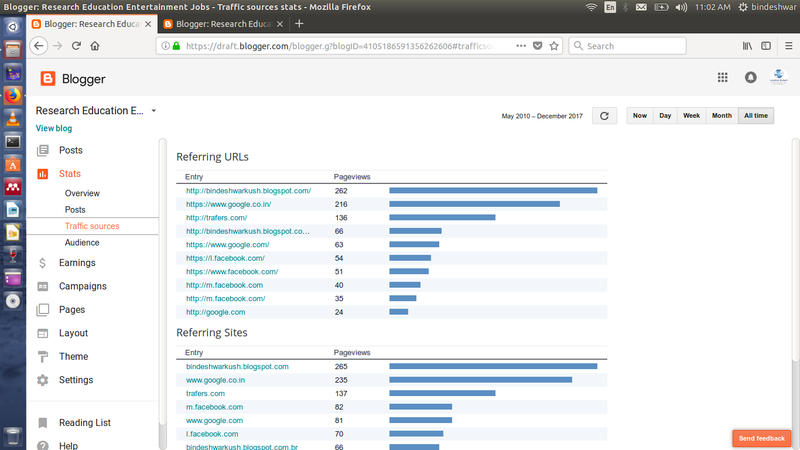 #2.3 Traffic Sources- The section shows where does your blog's traffic come from? by URL and form the websites, keywords are also shown in this section. 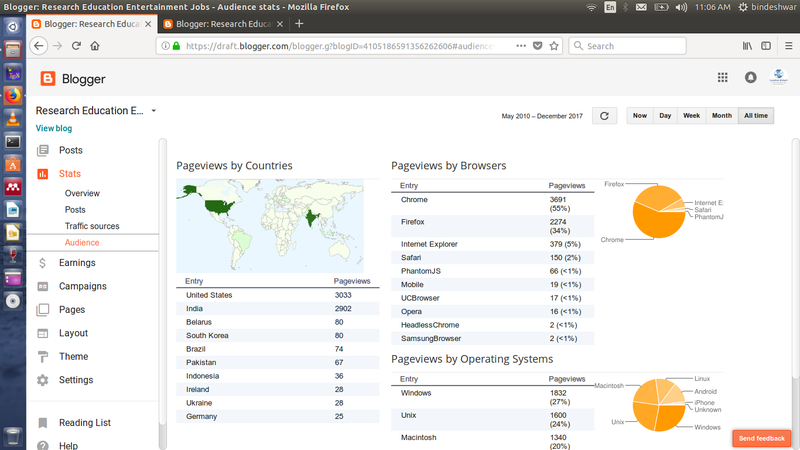 Section shows number of user by country, browser and operating systems. 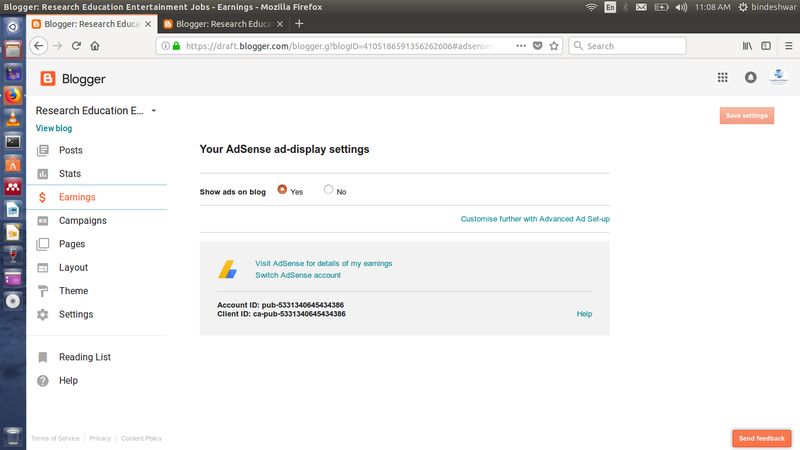 #3 $Earnings- Section links blog to adsense account to earn money you can directly apply to adsense from here. 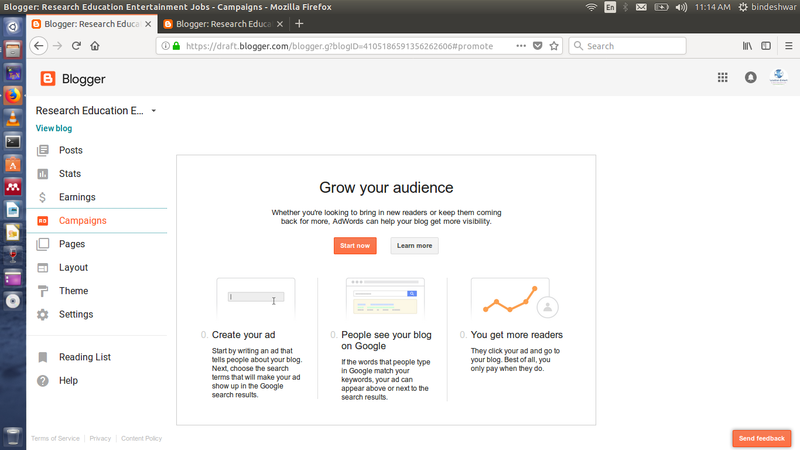 #4 Campinas- If you want to promote your blog by Google AdWords you can apply here. #5 Pages- New page can be created, published and drafted. #5.2 Published- Pages which are published. 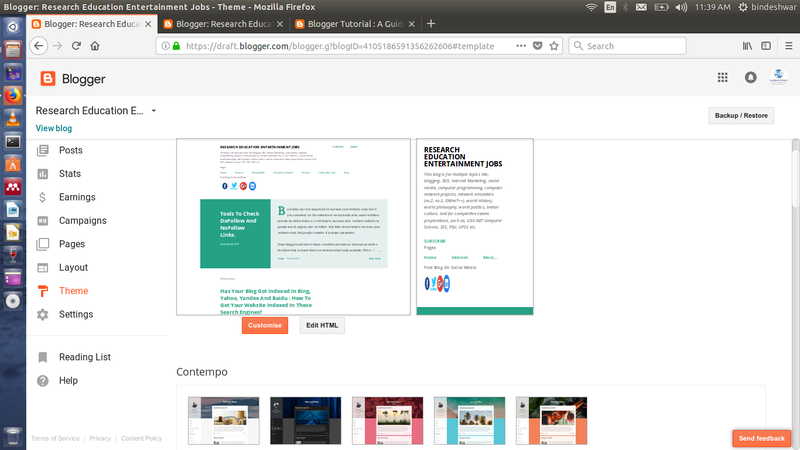 #7 Theme- You can apply a theme on your blog. #8 Settings- Each section separately will be described. 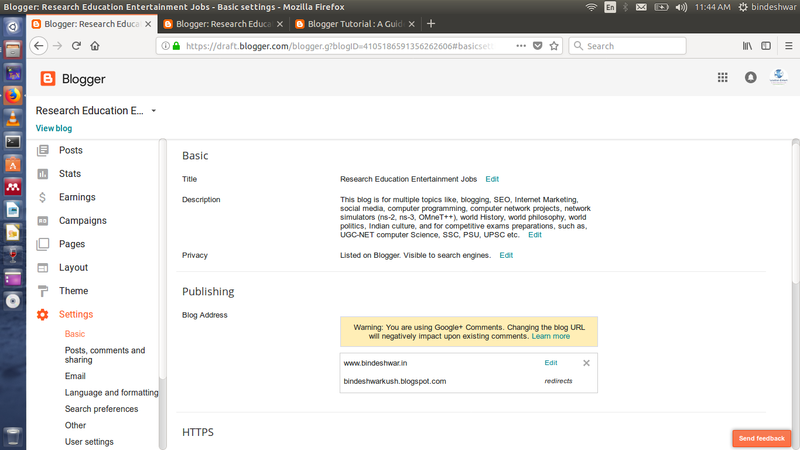 #8.1 Basic- Description , title of the blog, privacy, address of the blog and blog authors can be added. 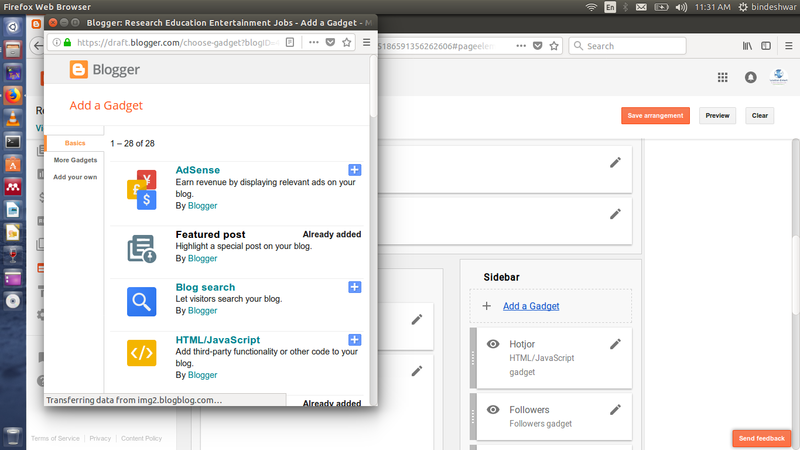 #8.2 Posts, comment and sharing- Maximum number of posts you can specify, you can add your own template code. 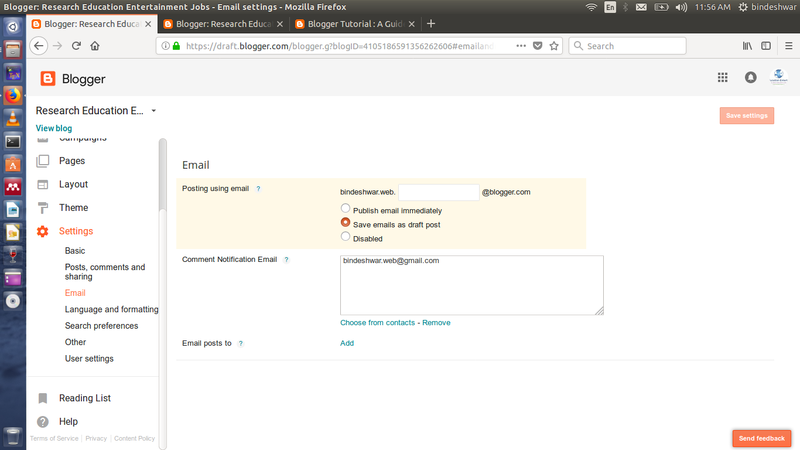 #8.3 Email- Articles can be published from from this settings, for example, if you send an email on gmail_host_name+secretword@blogger.com( See the first entry) article will be posted or drafted on your blog. 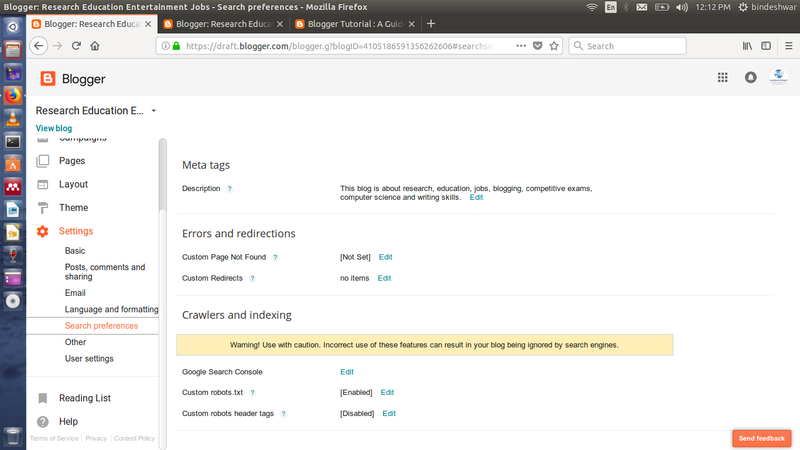 #8.5 Search preferences- This section is very important from search engine optimization point of view, in this section you can set meta tags, robot.txt, redirection of blog and Google web master (search console) also be manipulated. 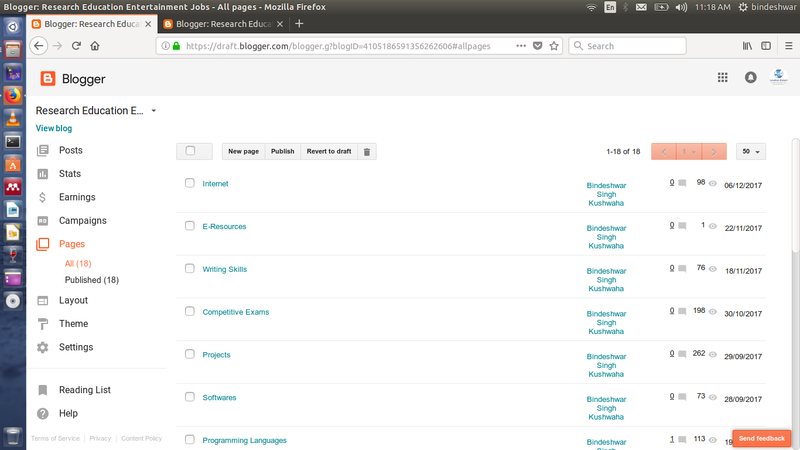 #9 Reading List- It will show all the blogs you are following and also it will show you posts.